Sidsel, Jeebus, can either of you post images of the cards in question? I don't have the Norwegian cards. The Norwegian Dominion rules are available online, but it's the first printing, so Tyv and Park have the wrong text. I'm including it (just the section with the card FAQ). So what Sidsel posted is what's on the cards (apart from Smithy and Laboratory), they've just been translated incorrectly? I don't understand what you're asking, sorry. For example, the Duke card in Norwegian is titled "Greve"? Right. Sorry I was unclear. Apart from Smithy and Laboratory, all the card name Sidsel posted seem to be correct. Any news on forthcoming translations? I don't know for sure, but I would guess no, because a couple of years ago I asked the distributor and he said no at that time. With the help of a BGG user, all currently translated Dutch cards are up - the last to go up was Dark Ages. I didn't anticipate the translation of "Band of Misfits" with "Vogelfreie" http://en.wikipedia.org/wiki/Vogelfrei but I must say that I quite like it. Also, translation of "Forager" with "Mundraub" is brilliant. I know it's been a couple years, but doesn't "Mundraub" mean "food theft"? How is that a brilliant translation of "Forager", which is someone who pokes around the undergrowth looking for random food? For what it's worth, i think it's a horrid translation. Also, whoever did uploaded the Spanish translations, the translation for Knights is the only one missing (at least, until Guilds finally gets translated). I do find it interesting which expansions get selected for translation in each language - Polish did Base and Intrigue, then skipped to Cornucopia, while Korean did Base and Intrigue, then Dark Ages and Guilds, and Seaside seems to have been the most recent. Funny, trash in Spanish has been translated to "eliminate". I meant the randomizer card. Caballeros is knight huh ? Is there a distinction between a knight a just a dude on a horse in Spanish ? 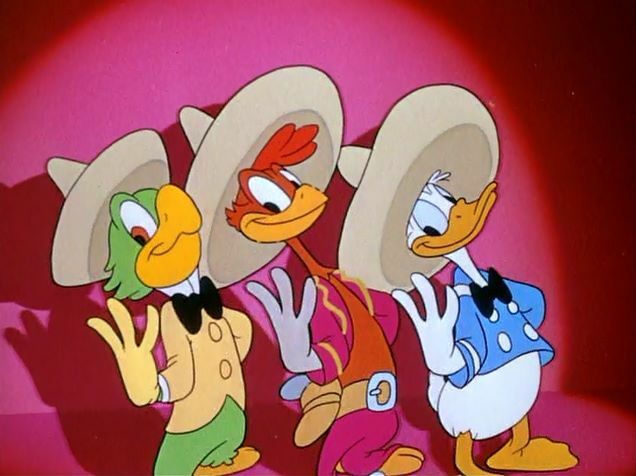 Because "caballeros" sounds a lot like the French "cavalier" (ok, maybe not a lot but they're close), which really just means "dude who rides a horse" whereas "knight" (chevalier) has other implications. Well, that's originally all a knight was - a warrior on horseback. The whole "chivalry" thing came later. It's pretty much the same in german and french. 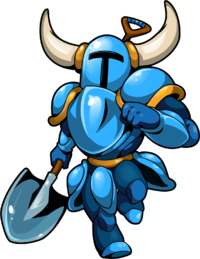 Also, i think it's called shovelry. Is that game any good? I've been pondering on and off whether or not to get it, but it's rather expensive on Steam for an 8-bit thingy. I did not even know that the word "cavalier" existed in French! I thought "chevalier" conflated both meanings. The more you know! In contemporary European Spanish, "caballero" is used to mean "gentleman", while "jinete" conveys the more literal meaning, "horseman". "Caballero" can also be used to refer to members of Orders, but such recipients are extremely rare in Spain. I am not entirely sure of how knighthood works in the United Kingdom, so I don't know if they are directly equivalent. Still, historically "knight" and "caballero" mean exactly the same thing. Right, but if you were watching the Olympics and there was some equestrian sport going on (let's say dressage because I like the word), you wouldn't call the people competing "caballeros", you'd call them "jinete" I'm assuming. Same in English you wouldn't say it's a knight, I guess you'd just say a horse rider or something ? Jockey is only for horse racing right ? Anyway, sorry for the digression. Languages, they are fun. Translating skills come into play where there is no direct translation. There is no German word for "forager" (dict.leo.org suggests "Wildbeuter" which is closer to "poacher"), so you'd better look for another fit. Both foraging and Mundraub is done out of necessity, and petty food theft was treated (German law prior to 1975) as a misdemeanor rather than a deliquancy when the thief was hungry. The site http://mundraub.org maps sites where food can be collected legally. As the picture does not show someone who pokes around the undergrowth, the German translation arguably fits the context better than the original. Hence, brilliant. I think it's a good game and had me entertained for a while. I'm not sure it's goo enough to be worth 15€, but i didn't regret buying it. The graphics are 8 bit (i think they cheated a bit with the colors), but the gameplay luckily isn't. Then again, i can feed of Mega Man nostalgia. Also i think they are planning at least one free DLCs (same levels, other main character). I should probably mention it contains a few rather good laughs. "Mundraub" implies stealing something, like a harmless attack. "Forager" implies living of remains, which is exactly what the card does - it lives of the trash. I'm totally fine with "Blutzoll", because i think it carries the theme very well, sounds nice and even gets some kind of double-meaning in the context. But Mundraub lacks those qualities. It doesn't even describe the same thing, with Forager referring to a person. But well, you can argue a lot about preferences.